The Rewards program from Shamrock Roofing & Construction is designed to reward our valuable Customers, Clients, Friends, Family, and Supporters for helping to promote the Shamrock Roofing & Construction family. This is the Referral Program For Residential And Commercial Roofing In Kansas City. 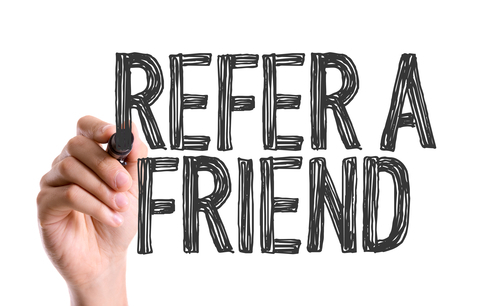 Refer Shamrock Roofing & Construction LLC to a friend or neighbor and receive a $100 Gift Card for each possible project that our friendly staff lands as a customer! If your friend or neighbor utilizes Shamrock Roofing & Construction to perform their storm damage/ restoration work the above $100 Reward will be awarded based on the size, scope and type of the job to be completed. These Rewards will be rewarded upon completion of the project. Example: If you refer Mr. & Mrs. Smith and we are able to land a contract with the Thomas’ you will receive a $100 Gift Card. When Shamrock Roofing & Construction completes the project you receive your rewards Gift Card!